"A big thank you to everybody who participated in this brief! We were very impressed with the number of submissions received and really appreciated the effort and personal touch every artist put into their work to bring our products to life. We expect to see these beautiful selected works spread across EMEA soon!" Whirlpool Corporation is the world’s leading major home appliance company with its brands on sale in nearly every country around the world. Whirlpool brand mission is to empower people by freeing up their time, to let them make the most of it. 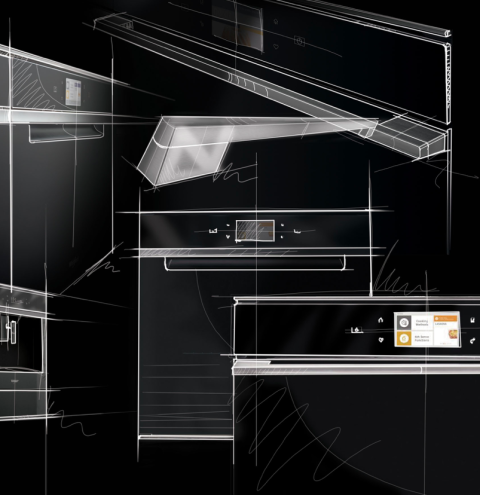 2018 was a big year for Whirlpool - it launched the 'W Collection' as its most premium kitchen appliance range, and will be adding the Black Fiber colour variation to the collection in 2019. 'Remix' product imagery from the new W Collection Black Fiber range, in an engaging, innovative way that makes people think 'WOW!' Focus on the black finish and bring to life the 3 design trends that influenced the product's style. You may create artwork in graphic design, illustration, collage, GIF or short video (up to 15 seconds) format. It's up to you - Get creative! Whirlpool is looking for a creative interpretation of their product imagery that will really stand out and be thumb-stopping. Read more in the 'Submission Guidelines' section below! An artist incentive pool of €16,000 is available for this brief, and a range of static and moving artwork will be selected by Whirlpool including a minimum of 2 GIFs. Artwork must include at least one Black Fiber product, but feel free to include the whole range! Download product images here. 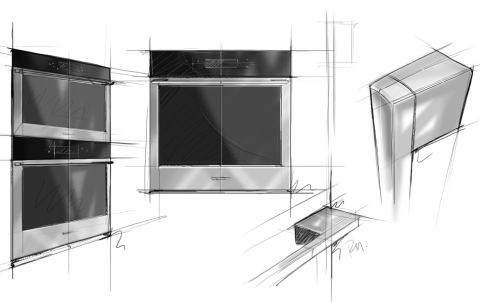 The pack includes simple images of 5 kitchen appliances (oven, hob, hood, microwave, fridge). Using these, create an original, creative and disruptive environment around the products (e.g. in an abstract way, by recreating a home setting etc.). Mindfulness - Life is messy and people seek a balance between work and life. Home represents a source of reconnection with ourselves, the place we can peacefully rest and recover. Contemporary environments - Simplicity and integration represent the contemporary ‘smart’ lifestyle, with crisp furnishing, cutting edge technology and minimalistic design creating a freedom of décor choices. Night time naturals - Combining dark colours with natural elements, creates a relationship between modernity and nature in a nuanced way to create many photogenic moments. Artwork should embrace and celebrate the main colour of the W Collection Black Fiber, black! You can use this colour palette. You can use the provided product images, or recreate the products in your own style, just be sure to stay true to the product's design and include its black finish! You can include one product, or the whole range in your artwork. You can submit up to 10 times though so feel free to create several variations. Please check out this mood board for inspiration. Artwork can be in any size. Consider that selected artwork may be used for both print and digital marketing so should be suitable for both. You can include the 'W Collection' name in your artwork. Read the Design Guide for details. You are free to use typography, but it must be in English and in-keeping with the rest of the artwork. Please don't include children or people who may look under 18 years of age, any other brands, any alcohol, any dangerous situations, or any unclothed people in your submission. The Whirlpool brand is owned by Whirlpool Corporation, the world’s leading major home appliance company. The company markets a range of brands including Whirlpool, KitchenAid, Maytag, Consul, Brastemp, Amana, Bauknecht, Jenn-Air, Indesit, Hotpoint and other major brand names in nearly every country throughout the world. Leading edge design - with a simple and essential full glass design together with superior craftsmanship to provide an elegant and distinctive look that perfectly matches contemporary furniture and domestic environment. 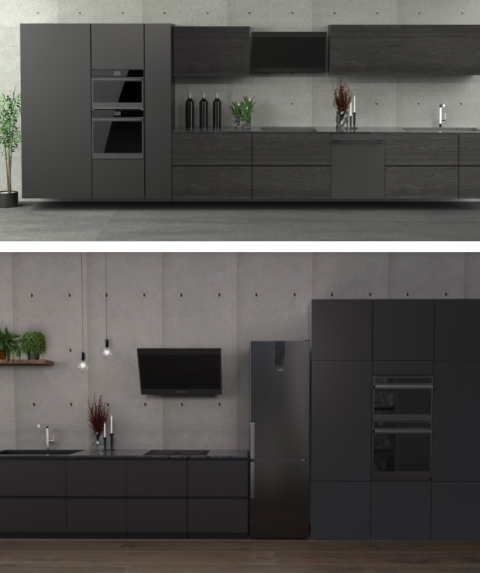 Intuition and simplicity of use - through entirely new product features users have a whole new way to interact with the products, and a fully connected suite that is remotely controllable, with the hood being the hub for all the other appliances within the kitchen. Advanced performance - across all product categories, and leveraging Whirlpool's 6TH SENSE technology through a range of features. The Black Fiber products are a new line within the W Collection range, and have a unique element and stylish black stainless steel finish. Potentially have their work featured across Whirlpool's social media channels, in-store, online and in out of home advertising. An artist incentive pool of €16,000 is available for this brief. Selected static artwork will receive €1,500 each, and selected moving artwork will receive €2,000 each. A minimum of 2 GIFs will be selected. This opportunity is open globally to those who are at least 18 years of age or the age of majority in their jurisdiction of primary residence at the time of submission. Employees and their immediate family and household members of Whirlpool and Talenthouse are not eligible to participate. Void where prohibited by law. Please note, that during the Submission Period, your submission may be featured on Whirlpool's social media channels with credit given to you. All submissions must be your own original work (meaning you are not allowed to use third party pre-existing copyright materials and/or stock imagery in your submission) except the product imagery provided by Whirlpool in this brief. All rights in and to the material provided are reserved by Whirlpool. Artists submitting a static image should retain their original image files, including high-res (300dpi min) layered artwork files. Static imagery must be uploaded as JPEG or PNG (max. size 10MB) via the 'Participate' tab on Talenthouse. Artists submitting moving artwork should retain their original high-res artwork files. Moving artwork (GIF or video (max. 15 sec)) must be uploaded as .mov or .mp4 via the 'Participate' tab to the Talenthouse player. No photography please. Please add a short description in English explaining the inspiration behind your design. Please use the 'Say something about your submission' section within your submission. Artwork may include images representing adults, however images of people should not be identifiable as real people (due to personal rights). We advice you to carefully read the 'Submission Guidelines' above, and look at the mood board. Artists that are not selected retain ownership in the original portions of their work, however Whirlpool has the right to promote submissions on their channels in connection with this Creative Invite for three (3) months after the product has launched in 2019. Specific dates will be communicated once this period starts. Whirlpool also has the right to use submissions internally within Whirlpool Corporation. All artists will be credited accordingly. Selected Artists will have to sign an agreement assigning all rights, title and interest in and to the selected work to Whirlpool for global usage. The selected work can still be used for artist's own portfolio purposes. The selected submission may be modified in collaboration with the Selected Artist to accommodate production requirements. Whirlpool will select from all qualified submissions. A qualified submission is one which meets all the Terms & Conditions, Guidelines and Official Rules.